Check out his per 48-minute stats: 10.1 points per game, 17.1 RPG, 3.1 blocks per game and 1.5 steals per game. Let's compare these numbers with his teammate Joakim Noah's per 48-minute splits: 15.4 PPG, 16.1 RPG, 2.0 BPG and 1.1 SPG. These numbers give you an idea of Asik's effectiveness on the floor. As a rebounder, Asik is every bit as impressive as Chicago starter Joakim Noah. These numbers make it obvious that Asik is a desirable young player. There aren't many solid big men in the league and while Asik remains incredibly raw on offense, his size and ability to clean up the glass are undoubtedly envied. And he's a free agent in the coming offseason. While he is restricted, he will most likely receive some lengthy and pricey offers from other teams. Teams tend to overpay to acquire big men, as guys like Brendan Haywood and Andris Biedrins are both making over $7 million this year. 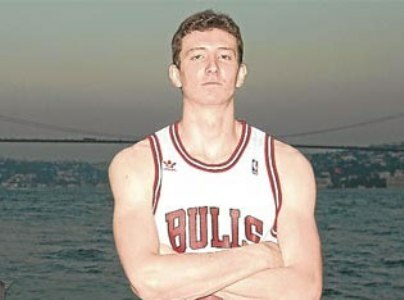 Asik, a far better and much more promising player, is making under $2 million right now. For a further example, look at the pay day Tyson Chandler earned for himself with New York after he played an integral role in Dallas' title run last season. Chandler's now making over 13 million. This makes it evident that a team (probably numerous teams) will offer Asik some hefty money. If the Bulls then desire to keep their Turkish center, they will be forced to match such an offer. With Noah and Carlos Boozer already possessing large contracts, it's highly unlikely that the Bulls will add another loaded contract into their frontcourt. Quite frankly, depending on the amount Asik is offered, it may not even be possible (without using the amnesty clause on Carlos Boozer). While it would be great to have Asik around for years, the wisest thing is to trade him now. He's a core member to the "Bench Mob," but he's not worth keeping around when the hopes of him returning next season are bleak. The question now becomes, who should they seek to trade him for? Pursuing Dwight Howard is the obvious option, but that would feature a package containing much more than just Asik. Asik, Noah, the rights to Nikola Mirotic, Jimmy Butler, Charlotte's conditional first-round draft pick, and perhaps another draft pick is a deal that should be put on the table. But what if Orlando doesn't bite, which is very probable? Who should the Bulls then seek to land by trading Asik? Is acquiring O.J. Mayo in a potential three team deal worth giving up Asik? What about including Asik in a package for Rockets guard Kevin Martin? How about another potential multi-team deal that would bring in Nuggets guard Arron Afflalo? Should the Bulls attempt to trade Asik in a package for Martin? In such deals, what would be crucial is if the Bulls could also add a serviceable big man to replace Asik, since Asik's departure would leave Taj Gibson and Brian Scalabrine as the only big men on the bench. For instance, would Houston be willing send Martin and backup center Jordan Hill for Asik and the Bobcats' conditional pick? They may say yes, but could also ask for Jimmy Butler too. These are the questions and scenarios the Bulls need to ponder. What do you think they should do?